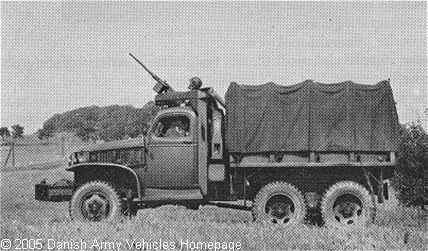 Shown here is the short wheel-base version of the GMC CCKW-353. This model was developed as a prime mover for 75 to 105 mm towed guns. Only a little more than 50.000 vehicles were produced either as chassis or as cargo trucks. Note the re-located spare wheel.